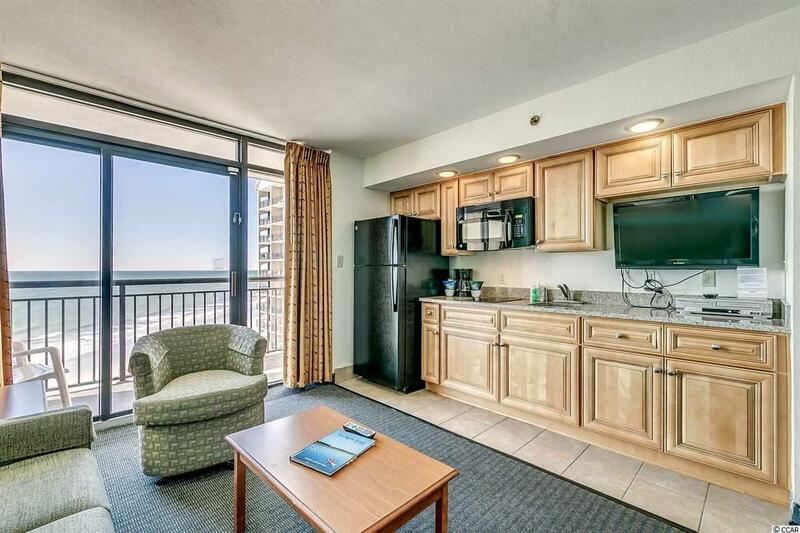 Spectacular 1 BR, 1 BA DIRECT OCEANFRONT, FURNISHED UNIT. 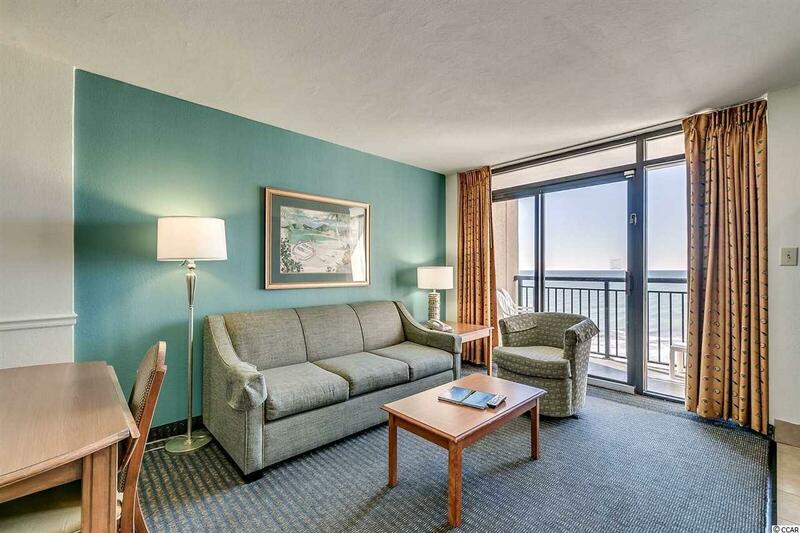 Fantastic Views of the Atlantic Ocean and the lush amenities below from the Oceanfront balcony. Some of its features include granite countertops throughout kitchen and bath. 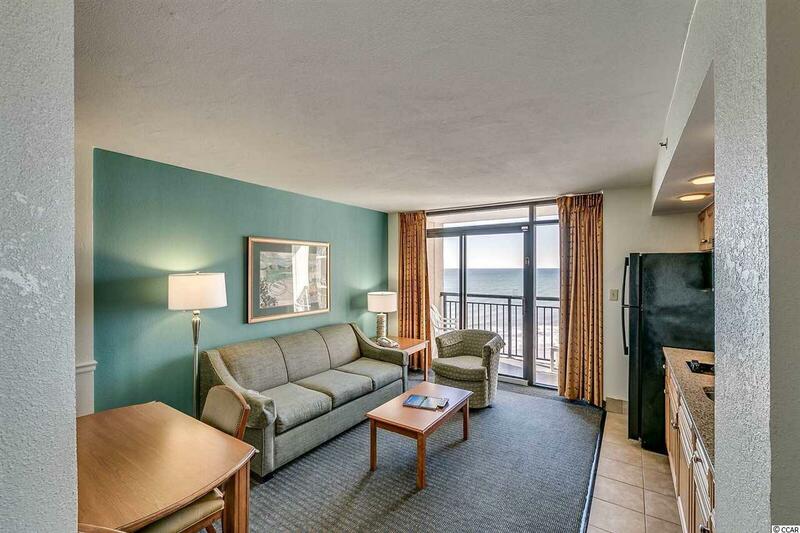 Beautiful updated furnishings and Flat-Screen TVs throughout. The Kitchen has gorgeous Granite Countertops, Upgraded Cabinets, Cooktop, Microwave and Full-Size Refrigerator. Sleeper Sofa in Living Room, unit sleeps 6 people. Great Rentals!!! Beach Cove has tons of amazing one-of-a-kind Resort Amenities including Racquetball Courts, Exercise Room, Gift Shop, On-Site Restaurants and Bars. 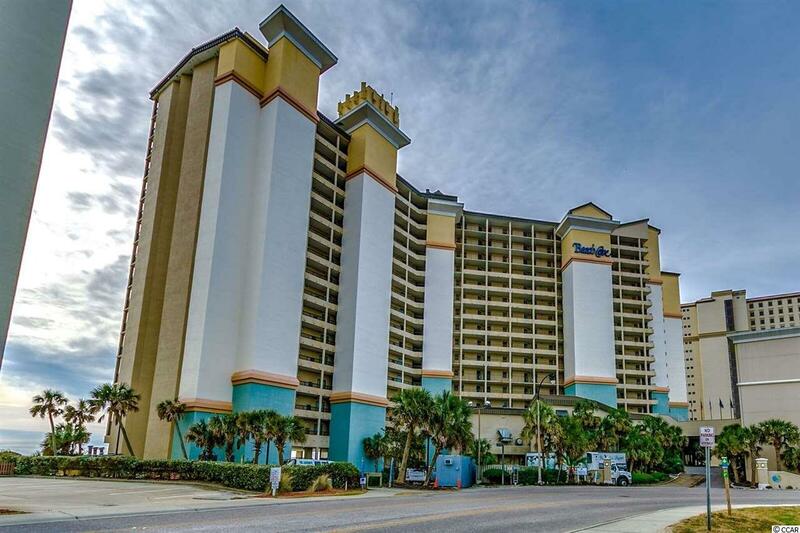 There are also lots of Water Amenities such as the Tropical Outdoor Pool Deck, 4 Heated Outdoor Pools, 3 Oceanfront Whirlpools, Indoor Pool and Whirlpool, a 350-foot Lazy River and Sauna. Beach Cove Resort is conveniently located to the best shopping and dining in the area, entertainment venues, Barefoot Landing, Grand Strand Regional Hospital, the Myrtle Beach International Airport, several main road arteries providing direct access to the Interstate, and within a few miles of more than a hundred golf courses - after all, Myrtle Beach is the #1 Golf Destination in the World - not the mention 30 miles of Beautiful Beaches. Don't miss this one - own your little "slice of paradise" now before the busy rental season starts!! !